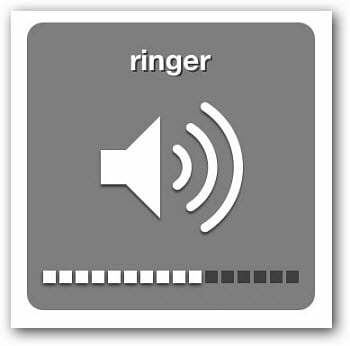 In iOS, you may have noticed that the volume rocker doesn’t control the volume of the ringer or alerts. Here’s an easy way to make the volume controls work for all system sounds. 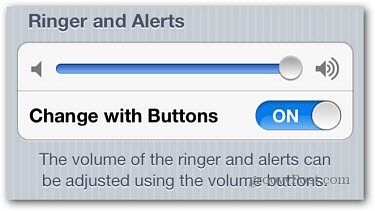 In iOS, you may have noticed that the volume rocker doesn’t control the volume of the ringer or alerts. While you may think you’re silencing your phone by turning the volume all the way down, you really aren’t. Here’s an easy way to make the volume controls work for all sounds. Go into Settings >> Sounds. Flip the Change With Buttons switch On. 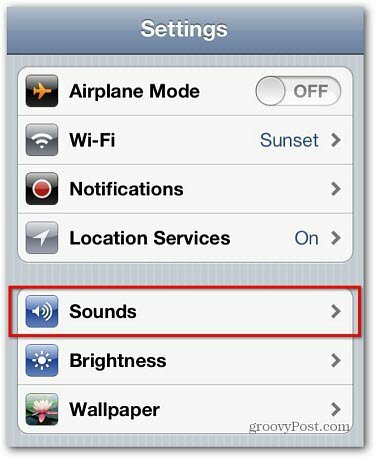 Now whenever you adjust the volume using your device’s volume rocker arm, it will effect all sounds including the ringer and alerts. That is a great tip. It drives me crazy when i set the volume low but that only sets the ringer for instance.